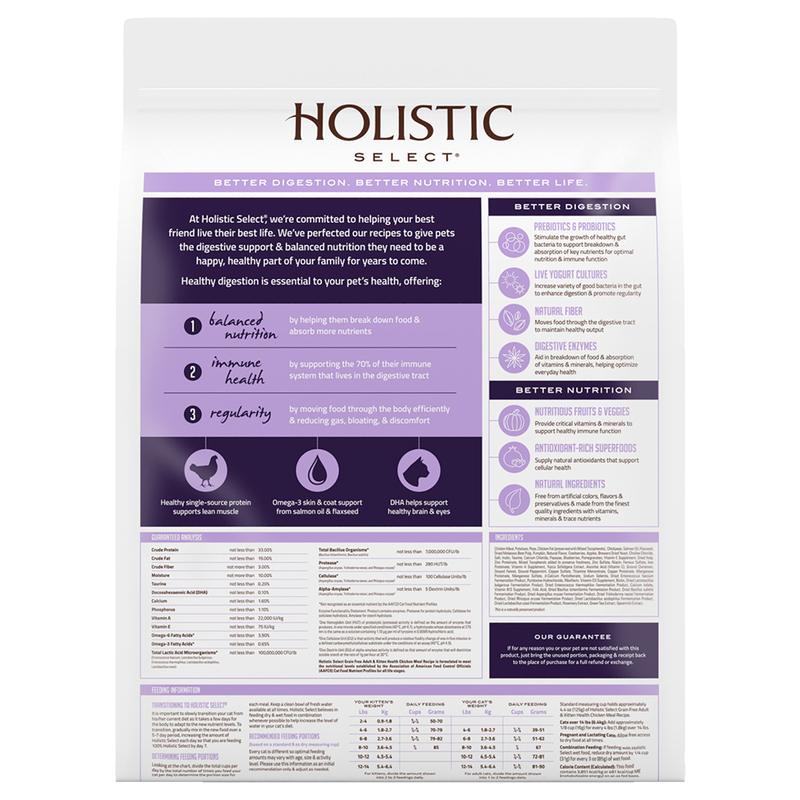 This Holistic Select Adult & Kitten Health Chicken Meal Recipe is formulated with a unique Digestive Health Support System, including active probiotics, healthy fiber and digestive enzymes. When combined with the other high quality, natural ingredients, this recipe supports the absorption and utilization of vital nutrients throughout your cat’s entire body. Your cat will look and feel healthy from the inside out. Contains sources of protease to help break down proteins, cellulose to help break down cellulose, and alpha-amylase to help break down starch. Pumpkin and papaya contain healthy fiber to support a healthy digestive process and healthy daily output. 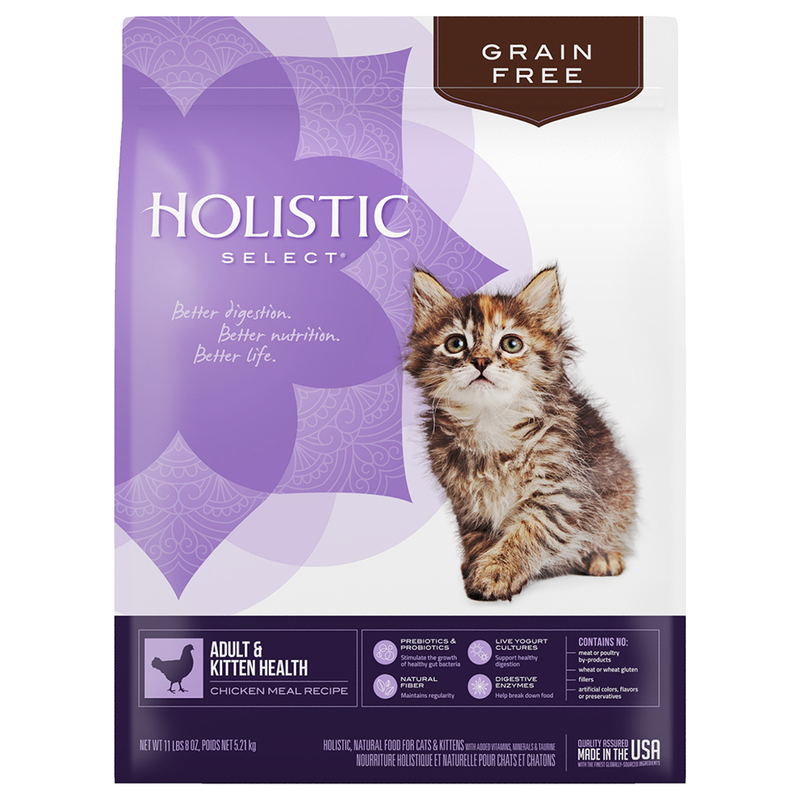 A variety of proteins, including chicken meal, help support lean muscle while providing great, natural flavor cats love. Contains antioxidant-rich superfoods such as cranberries, blueberries and pomegranate to provide natural antioxidants to support cellular health . Omega-rich ingredients like flaxseed and menhaden fish oil help to nourish skin for a healthy skin and coat.